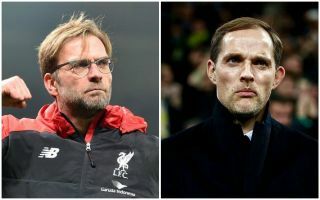 Liverpool don’t need to change their approach and will have an electric atmosphere behind them when they meet Paris Saint-Germain in the Champions League, according to BT Sport pundit Steve McManaman. The former Reds star spoke to CaughtOffside about his old club’s chances in the Champions League this season after an exciting run to last year’ final, which they ultimately lost to Real Madrid. McManaman, a European champion with Madrid back in his playing days, knows a thing or two about what it takes to lift the famous trophy, so can Liverpool repeat last season’s run or even go one better and win the cup this time? ‘Of course. They were excellent last year and they’ve strengthened their squad this summer,’ the former England man told CaughtOffside. Liverpool certainly haven’t had much luck drawing Neymar and co. and taking them on at Anfield in their first game of this season’s competition, but McManaman says there’s no reason for Jurgen Klopp to do anything different against such a star-studded side, as the 12th man of the Kop could make a difference. ‘I think when you play at Anfield in the first game of the group stage you’re not changing anything,’ he said. ‘The atmosphere will be incredible. Last year against teams like Sevilla, Maribor … everyone expected them to go through, so the atmosphere probably wasn’t as electrical as it was when they played the quarter-finals and the semi-finals.